Anew report is once again corroborating the idea that the current-generation iPhone X will be discontinued. The forecast for the iPhone X — clothed in rather dire-sounding headlines — comes from Neil Campling, the co-head of Mirabaud Securities. Campling told CNBC that the current iPhone X is “dead” and will be killed off because Apple overestimated demand. Campling is basing his predictions is an overabundance of chips produced by Taiwan Semiconductor Manufacturing. The financial watcher said that TSMC’s inventory levels are low because Apple is not placing any more orders for iPhone X chips. That suggests that Apple will not produce any more iPhone X models at a certain point. Campling adds that Apple has enough iPhone Xs to meet demand through the end of the year. It’s worth noting that this prediction has already been made by oft-accurate KGI Securities analyst Ming-Chi Kuo earlier this year. There are, however, a few caveats to this discussion — and they are important to note. Firstly, outright saying that the iPhone X is “dead” may be an accurate but slightly misleading statement. It does not mean that Apple is going to completely scrap the features or design that the flagship introduced. The majority of the evidence we have, in fact, suggests that Apple is going to introduce iPhone X features like OLED display technology, wireless charging and Face ID to a wider range of smartphones this year. On the other hand, it does hint that Apple won’t continue selling the first-generation iPhone X at a lower price point. Instead, it’ll completely replace the flagship with a new, second-generation model later this year. There’s a precedent for this, of course. Apple has made similar decisions for its various other products, like some of its tablet and wearable devices. But while the reportedly lackluster demand for the iPhone X might hurt Apple and its suppliers, it could bode well for consumers. 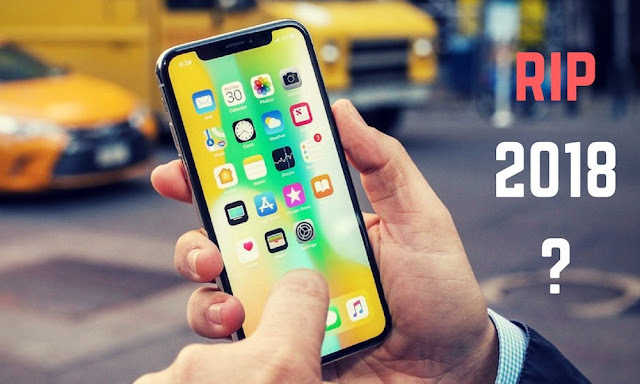 For one, several reports suggest that Apple will be increasingly focused on more budget-friendly and mid-range devices the year. There very well may be a new iPhone SE model coming out in the next couple of months. If Apple keeps its strategy for the 4-inch smartphone, it’ll probably turn out to be its most affordable handset this year. And Apple is largely expected to debut three new flagship iPhones at its fall keynote. One of those iPhones is rumored to be an LCD-based model with an entry-level or mid-range price point and a 6.1-inch display. While it won’t make the jump to OLED, rumors hint that it could adopt other iPhone X-style features. Even the direct successor to the iPhone X, a second-generation “iPhone XI” model, is expected to be slightly cheaper. As a result, a so-called iPhone X Plus with a massive 6.5-inch OLED display might take over that $999 price tier. So, yes, while the iPhone X might be discontinued this year, the features, design and form factor it introduced are far from dead. And even before new Apple flagships are introduced, the iPhone X might still be well-worth its price point.